Stay up to date on the latest product releases and offers by signing up to our newsletter. 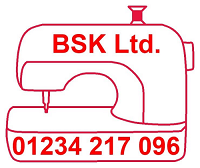 © Copyright Bedford Sewing & Knitting Machines All rights reserved. Never miss out on our latest products and biggest deals. Sign up to our free newsletter today!